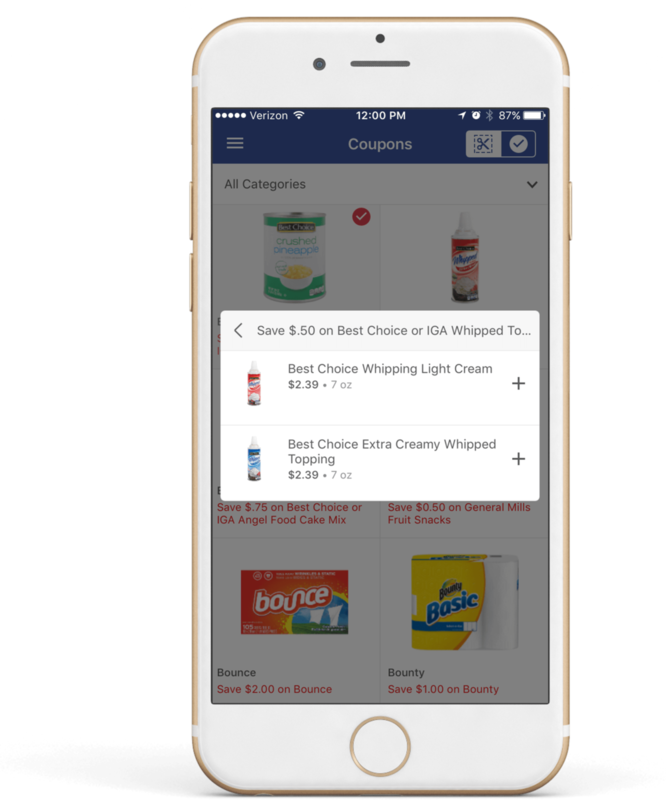 In addition to Loyalty Integration, which allows online shoppers to receive the same discounts and promotions offered in-store with a club card, Freshop has added integration into the product catalog for items with coupons. This ‘Clip and Save’ feature further maximize savings for the club card shopper. Clicking ‘Clip & Save’ clips the coupon and opens a modal window, allowing the shopper to add any included items to their list as well as displays the legal text for the coupon. Coupons already clipped show ‘Clipped’ with a checkbox using the primary store color. Additionally, once clipped the digital coupon is directly loaded to the club card and the discount is automatically applied at checkout. The online account will show what is clipped to the card but the actual discount is applied only when the order is finalized via POS. Shoppers have several options to locate and select products with digital coupons. There’s a direct link to view only products with digital coupons, or they can shop the entire site and filter by one or more options such as on sale, digital coupons, and my favorites. Additionally, under ‘My Account,’ shoppers can browse their valid clipped coupons.